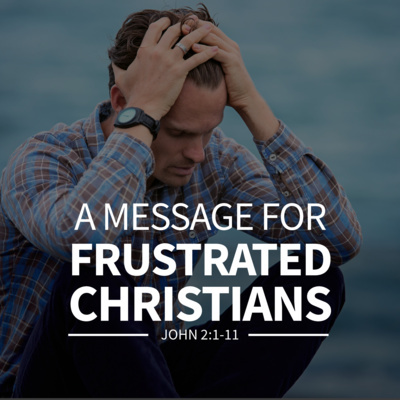 This message provides discouraged Christians with an answer as to how they - like Elijah - can leave behind the thorn bush of their worries and fears. 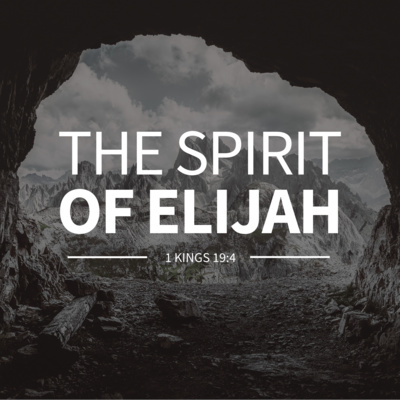 The spirit of Elijah stands for a generation that does not bow to the idols of their time. 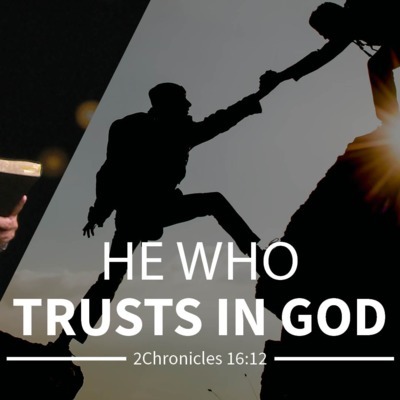 At the same time it stands for the restoration of the relationship between "fathers and sons": on a personal level, between generations, and for the Church with the fact that Israel is chosen. 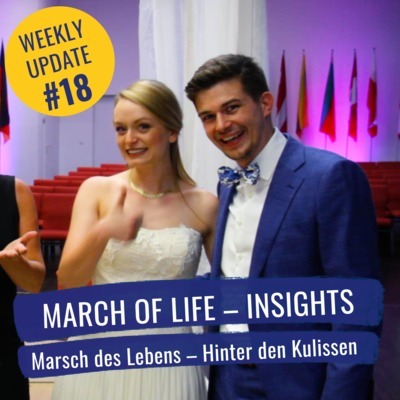 Hello dear Friends, in this edition of the Weekly Update I have Matthias Rowley as my studio guest, who is responsible for film and video productions at TOS Ministries and March of Life. 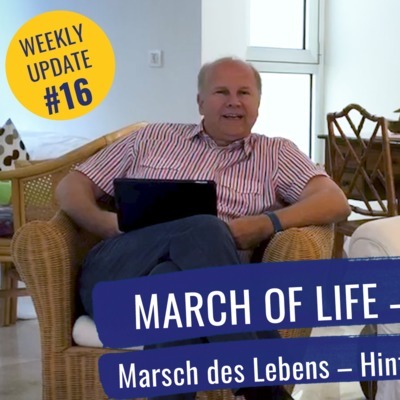 In this interview he talks about his personal family story and what motivates him to make films for March of Life. The ministry in Finland had a big impact: on June 2, 2019 a big March of Life will take place in Helsinki, in cooperation with the local Israel Ministries. We are very much looking forward to it! I warmly invite you to the Veil of Silence Conference on April 5 - 7. We have expanded the program with many new important topics. I am looking forward to seeing you there. See you next time! Hello dear Friends, today my Weekly Update is from Järvenpää, Finland. We just finished a Breaking the Veil of Silence seminar, because Finland, too, is covered by a Veil of Silence concerning the Holocaust and WWII. Watch my Weekly Update to learn more! Greetings and see you again next time! Dear Friends, next week we will be going to Finland. So today, I have Paula Karppanen in the studio with me who is Finnish and came to Tübingen to study Historical and Cultural Anthropology. She did her master's theses on the culture of remembrance in Finland. Today, we will be speaking about the history of Finland and how the Veil of Silence has to be broken there as well. For more details, please watch the video. Next week we will be reporting live from Finland. See you then! Hello dear Friends, the March of Life Conference last weekend was really special and unique again! We had special guests - their personal stories were the highlight of the conference: Dr. Arie Itamar (Holocaust survivor and passenger of the Exodus 1947), Izac Rozman (son of one of the Haganah leaders on board and Chairman of the Exodus Commemoration Comittee), Shaya Ben Yehuda ( Director of International Relations at Yad Vashem) and Josh Reinstein (Director of the Knesset Christian Allies Caucus) were among those present. 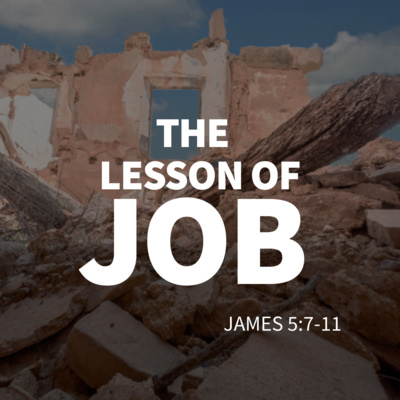 The topic is still relevant today, as these newspaper articles prove - antisemitism is on the rise again, and we as churches and congregations have to take a stand against it now more than ever! How exactly we can do this, I'll tell you at the next Weekly Update. See you next time! Dear Friends, next week we will have the March of Life Conference. I am especially looking forward to having Dr. Arie Itamar with us, a Holocaust survivor from Israel, who was a passenger on the Exodus when he was a child. Today, I have Friedhelm Chmell with me in the studio once more - he is one of the actors in the musical "Exodus". Today we will be talking about Christian antisemitism, indifference and a special encounter with orthodox Jews in Bnei Barak, Israel. 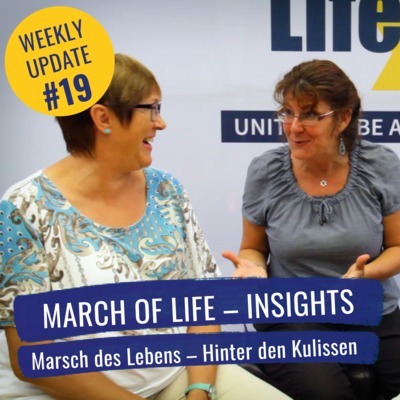 Byebye and see you again for our next Weekly Update - or next week at the March of Life Conference in Tübingen! Hello dear Friends and welcome to our studio in Tübingen. Tomorrow is the international Holocaust Memorial Day with Marches of Life taking place across the globe (Bolivia, Finland, Germany) to remember the liberation of the concentration camp at Auschwitz and to raise a global voice for Israel and against antisemitism and Jew hatred. Today, I have a very special guest in the studio with me, Friedhelm Chmell whose family was among the leading personalities in church circles during the Nazi era, and whose influence on the mindset of countless christians at the time cannot be overestimated. And yet Friedhelm used to carry a deadly indifference in his own heart concerning the Holocaust and his own family's involvement until he discovered some very unsettling things. 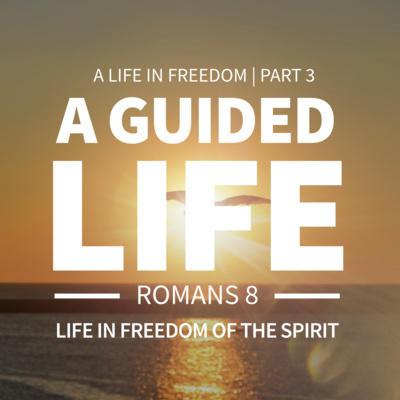 Come with us on the journey of what he discovered and what were the effects on his own life. If you want to find out more about your own family history and how to research it, join us for the Veil of Silence Conference in Tübingen on April 5-7 and register at https://tos.info/breaking-the-veil-of-silence See you again next time! Hello and welcome! Recently, German television showed a repeat of the TV series "Holocaust" which was first aired in 1977 and which had quite a mixed reception. Many were deeply moved, others responded even aggressively. Back then, 200 million viewers watched the series. Today, Caro Hohnecker is back in the studio with me, a psychotherapist with a special focus on trauma research. She explains how traumas can be passed down even through the generations. This year, we will have Veil of Silence Seminars in many different cities and nations, plus a conference in Tübingen, that will help you to work through your own personal family history. For more information, please go to https://tos.info/breaking-the-veil-of-silence See you next time! Dear friends, Greetings from Caesarea, Israel. We have had a special week behind us: Musical performances in several cities with many encounters with Holocaust survivors who are witnesses of the exodus ship and were very moved by the musical. 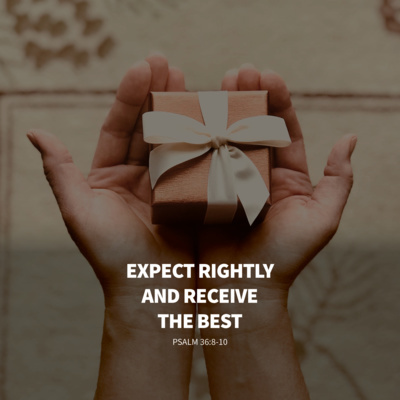 You'll find more on this and what awaits us in 2019 in my weekly update! Be blessed and see you soon! Dear Friends, Happy Chanukka and Chag Sameach! 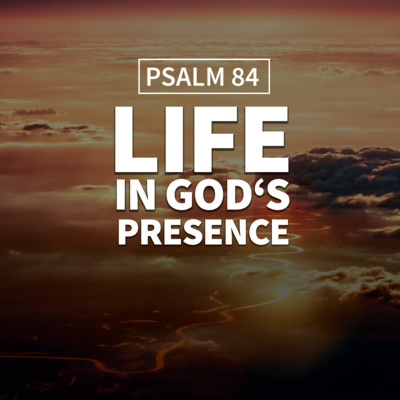 I would like to greet you with a word from Psalm 18:1-2 that names nine of God's attibutes: my strength, my rock, my fortress, my deliverer, my God, my refuge, my shield, horn of my salvation, my stronghold. A very warm invitation to join us in Tübinge for our Hanukkah Days, for example tonight at 7:30 pm with Cantor Nikola David (Serbia / Munich), and on Sunday morning with Doron Almog (Israel) at 11 am. We will be streaming live on facebook for both events. 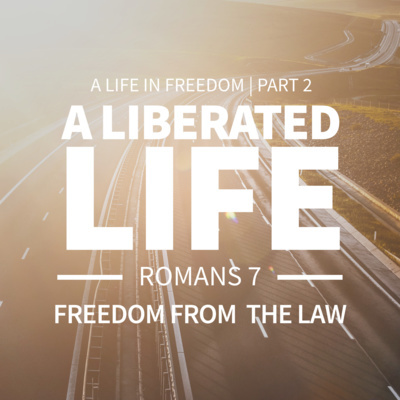 For further information, please see our website www.marchoflife.org. In this latest edition of my Weekly Update I share about my time in South America and Houston during the past two weeks, among other things about meeting Holocaust survivor Ruth Steinfeld. See you again next week! Dear Friends, greetings from Bogota, Colombia. I am here together with Pastor Fernando, head pastor of Manantial Church with 60,000 members. 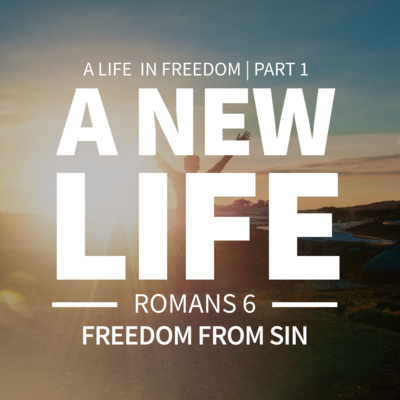 In this edition of the Weekly Update, he shares about Manantial Church and gives us keys for church growth in Europe. He also talks about how excited Eduardo Cañas was when he returned from his trip to Tübingen. Next year, there will be a big March of Life in Bogota. I want to encourage you also to hold a March of Life in your city! Dear Friends, hundreds of missiles have rained down on Israel in the last few days. Let us stand united in prayer for Israel - the prayers worldwide are like a shieldof protection for Israel. We must not stop standing in friendship by Israel’s side. So, last week we had a big demonstration against antisemitism, for Israel and for Jerusalem at the Brandenburg Gate in Berlin. 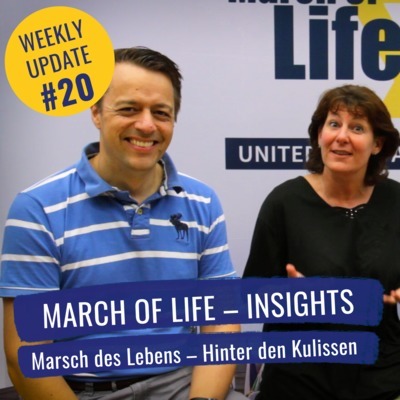 Today my special interview guest in the Weekly Update: Gudula Kasch, singer in the band Be´er Sheva, who often sings Yiddish songs at Christian conferences and memorial events. She talks about her family background and special encounters with Holocaust survivors. Sometimes we are not moved when we hear the news about threats against Israel. Each of us has a personal story - use it for the people of Israel and make your statement for Israel! Dear Friends, Tübingen is not only the place of origin for TOS Ministries worldwide, but also of the March of Life Movement. Every year on Hanukka we celebrate the Jewish-Christian Cultural Encounter. This year, on Monday, Dec 3, we will have the grand opening of the exhibition "Never again Silence“ at the Market Square. On each of the nights of Hanukka, we will light the next candle at a different place in Tübingen. Also, we will have events on Thursday, Dec 6, with Cantor Nikolai David, and on Sunday, Dec 9, with Doron Almog (Founder of ALEH, the largest facility for the severly disabled in Israel). Today, there is a very special event in Erfurt on "80 Years Kristallnacht – Germany, where are you going?". Stephan Kramer, Prof. Gideon Greif, and I will be speaking. Tomorrow, on Saturday, Nov 10, there will be a big demonstration for Israel in Berlin against antisemitism and for Israel and for Jerusalem. We expect several thousand participants. Join us for these events! Hello dear Friends, Today I have special news for you: I will step down as chairman of the March of Life association which we founded in 2015. My guest in today's Weekly Update is the new chairman. Listen to find out who it is! Hello dear Friends, best regards from Wroclaw, Poland, where we had a March of Life Day this weekend with roughly 120 people from all over Poland. This continued the reconciliation between Polish and German people that started back in 2014 with a Polish-German Reconciliation Conference in Tübingen. Moreover, we also focused on what lies ahead of us: the March of Life in various cities and the "March of the Nations compact" next year. I was especially touched be the story of the pastor in the church, who used to be a drug addict and a rock star, and now he loves Jesus and Israel, and is a great blessing for Poland. Best regards from Wroclaw and see you again next week! Hello dear Friends, This week I was privileged to take part in the completion and introduction of the new Torah scroll in the synagogue of Stuttgart. What a special event! It took a whole year to write the Torah scroll - and a few letters were saved for the official completion of the scroll. I was privileged to place my hand on the arm of scribe while he finished the letter. Hear more about this in my Weekly Update. See you again next week! Dear Friends, after Paraguay decided to move their embassy back to Tel Aviv lots of national and local churches are taking a stand, collect signatures, and even organize demonstrations in front of the Foreign Office. Our March of Life representatives, Ralf and Elke Steinmetz, are present there, and together with other pastors they have signed a petition to keep the embassy in Jerusalem. I think this is an example of what can happen in any nation. We need to raise our voices in all our nations! At the March of Life in Stuttgart earlier this year, we raised funds for a new Torah scroll. 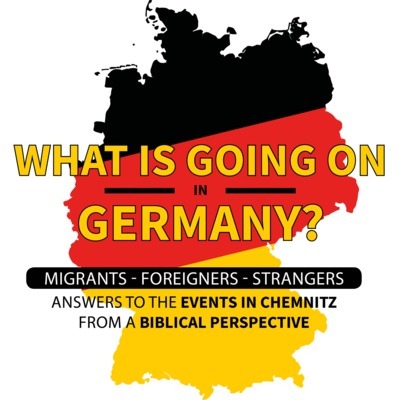 Next week, on September 26, it will be completed and introduced to the Jewish Community of Stuttgart. At this time it is crucial to stand with our Jewish friends and to raise our voices against antisemitism! 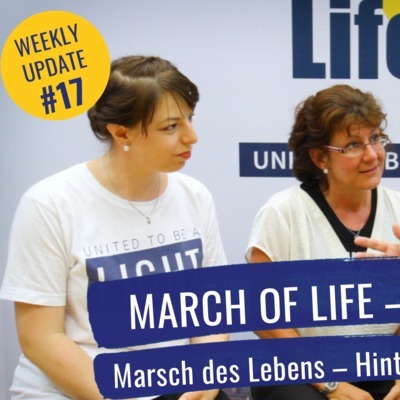 Come and join us for the March of Life Conference in February 2019 in Tübingen! 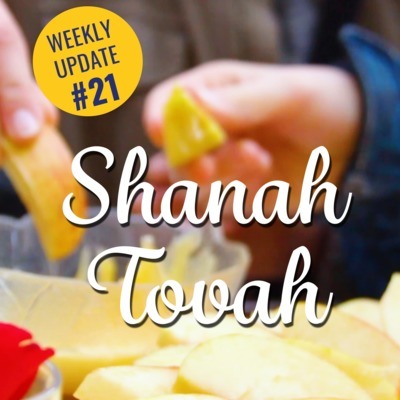 Dear Friends, this week we will celebrate the Jewish new year Rosh Hashanah. I wish all of our friends "Shanah Tovah" - a sweet and blessed new year! But this day also has another meaning. It is "Yom Hadin", the Day of Judgement. The following ten days are days of repentance, reflection, and prayer, and they culminate in the great Day of Atonement, Yom Kippur. In the face of the disturbing events in Chemnitz it is all the more up to us to seek God in prayer and to raise our voices against racism and antisemitism. The days between Rosh Hashanah and Yom Kippur will be days of prayer and fasting for us. Firstly, for our government to take a clear and positive attitude towards Israel. 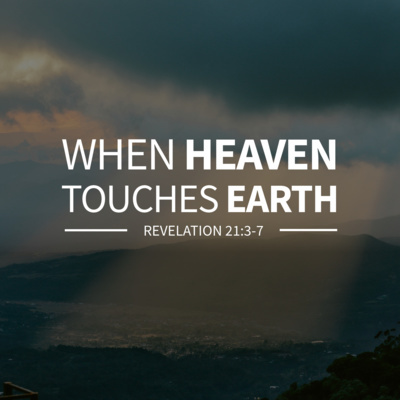 Secondly, for Christians to reflect upon and repent of their indifference. And thirdly, for Israel's protection. Shanah Tovah - wishing you a sweet and blessed new year! 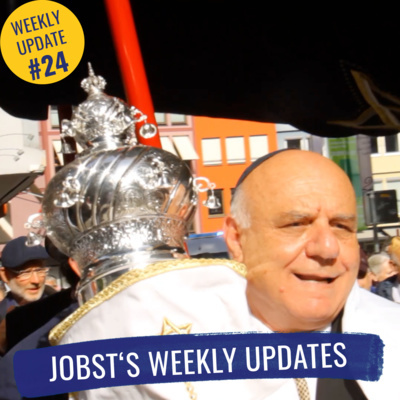 Jobst Bittner’s Weekly updates #20 Hello dear Friends, I recently read in the German national newspaper “Die Welt” that the Jewish World Congress is very concerned about the level of antisemitism in Germany. “Ron Lauder, President of the Jewish World Congress, remarks a constant rise of violent incidents and attacks against Jews in Germany, and he demands determined action to stop this.” The March of Life is an important answer here: In our churches, we have to think about what we need to do, and we should consider having a March of Life next year around the time of Yom haShoa. We will offer March of Life days and conferences in order to train people. Today, I have a guest in my studio: Guido Kasch, Pastor of TOS Church Tübingen. For years, he has been guiding Israeli tour groups through the exhibition „No longer silent“ in Tübingen. He shares his experiences and also his personal family story. Hello dear Friends, first of all I wish all of you a great and restful vacation time! We currently see a fresh rise of antisemitism in Germany, especially in Berlin and Bavaria. But next to overt antisemitism there also is the silent form of antisemitism found in the center of our society. The indifference and apathy is shocking! There is so little willingness to take to the streets, to raise one’s voice and to be light. Sometimes I think we can only do that once we truly start working through our own family story. Today, I have a special guest for my Weekly Update: Ingrid Maier, whose father was involved in the massacre of Babyn Jar in the Ukraine in 1941. She recently took part in a March of Life in Kiev and publicly shared her personal family story. We will not stop encouraging people to hold Marches of Life all over the world and to raise their voices for Israel, and to hold “Breaking the Veil of Silence Seminars”. See you again next time! 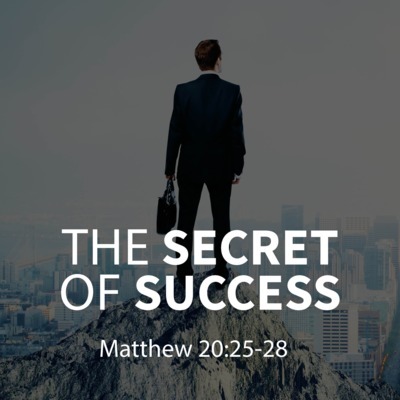 Is it permitted for a Christian to be sucessful? The Bible speaks of "success", "blessing", "harvest" or "fullness". 5 steps to success can change your life. "Hello dear Friends, in Germany, it is currently almost as hot as in Israel. When we were in Israel recently, many said to us, ""The musical you showed at the March of the Nations touched us so deeply"". In this Weekly Update, I am interviewing Michaela Buckel, author of the musical, who tells us the story behind the musical. Very special is the fact that the musical uses mainly eyewitness reports. I have good news: the Musical will not only be released as video shortly, but will even go on tour in Germany and Israel! Greetings from Tübingen, see you next week in the next Weekly Update!"